Contact us about this Salvage. 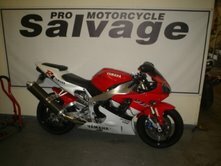 Enter your details into the boxes provided below to enquire directly about this salvage. Alternatively use our contact details below to call us today. Site design by DADI - dadi-online.com - North East England and Staffordshire UK based graphic design, web design, multimedia design, digital illustration and SEO services.